Single family/Town home for rent in Norwood.All the utilities are included in the rent. 1st floor living room, dinning room and kitchen. Kitchen has been updated with stainless steel appliances, granite counter tops, ceramic tile floors and chery cabinets. There is 1/2 bathroom on the 1st floor. Also there is interior acess to the basement for extra storage and laundry, washer and dryer are provided by the landlord. 2nd floor has 3 bedrooms and a full bathroom. All hardwood floors through out and the house is fresh painted. 3 parking spaces off street in the driveway. 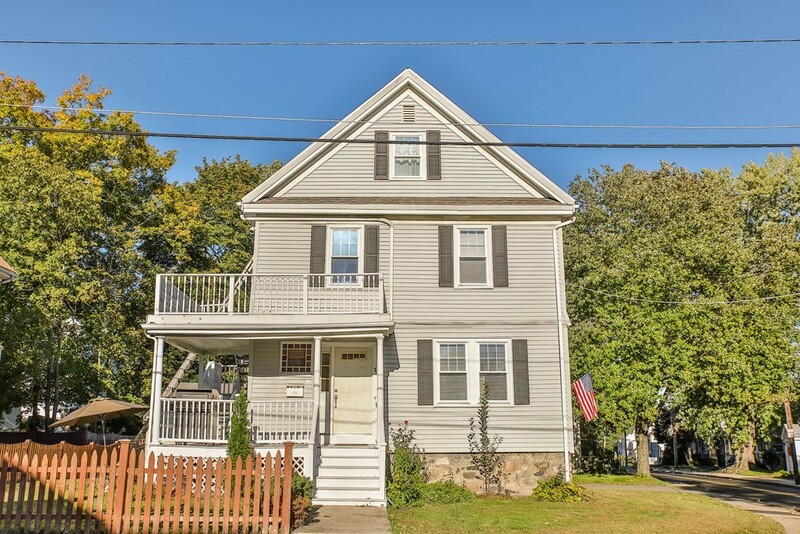 The tenant will enjoy the right to use the side yard.Prosepct Ave is a side street in Norwood center which is very convinvient to shopping, restaurants, banks and public transportation, such as bus stop on Washington Street and T stop Norwwod Center. Available now for rent. Good credit and sufficient income is required. No Pets, No smoking.